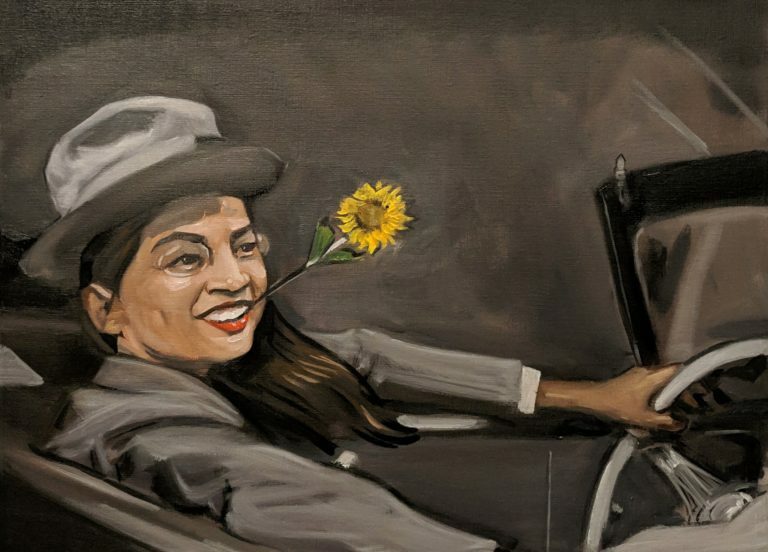 In recent months the idea of a Green New Deal has captured the progressive imagination with a big boost from Congresswoman Alexandria Ocasio-Cortez. Ocasio-Cortez and grassroots climate justice activists understand that a truly sustainable future with justice and equity for all is possible, but we can’t stand aside and wait for corporate-owned politicians to bring it into existence. 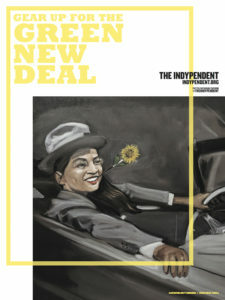 We featured Ocasio-Cortez and the Green New Deal on the cover of the January Indypendent with a Rooseveltian twist and our readers loved it. So much so that we decided to reproduce the hand-painted cover image as a glossy, full-color 18” x 24” poster printed on 100 lb. matte paper for maximum brightness. Get your copy today! It’s a great way to show your support for AOC and the scale of climate action we urgently need. And it’s a great way to support The Indypendent, New York City’s leading progressive newspaper. To place a bulk order for 10 copies or more, email contact@indypendent.org or call 212-904-1282.